THE WORLD’S GREATEST HAMBURGER DESERVES A WORTHY BUN. That’s why we make our signature buns from scratch every day inside our Bakery. 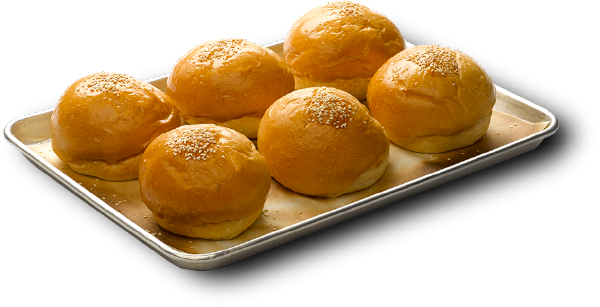 To make the perfect bun, we mix our ingredients at proper temperatures, use proofing procedures to develop the texture, weight, and height of each bun, hand-roll the dough for the perfect shaped bun, bake them until they’re dark golden brown, and welcome you to our restaurants with the sweet scent of all things fresh-baked. Our Bakery is also home to delectable sweets. Our ice cream treats, hand-spun milkshakes, cookies, brownies, and crispy squares are all made from scratch each day.